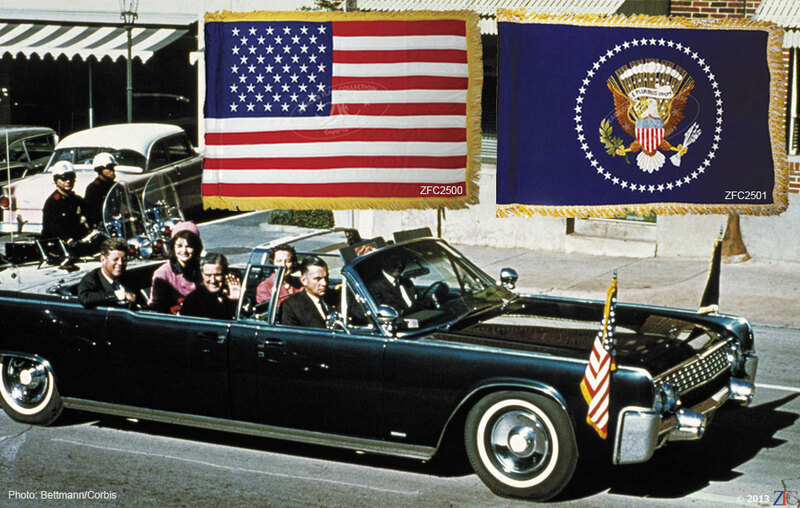 The flags, photographs and reports which comprise the President John F. Kennedy Grouping are some of the jewels of the Zaricor Flag Collection, and include the two flags from the presidential limousine when President Kennedy was assassinated in Dallas 22 November 1963. 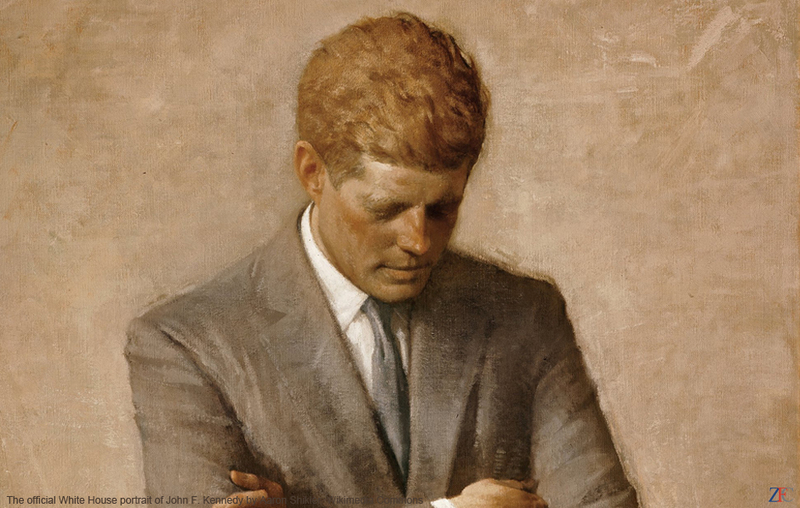 The image of the presidential limousine speeding away with its pair of flags, a 50 star United States flag and a matching presidential, whipping wildly in the wind was seared into the nation's collective memory. These flags were removed after JFK's November 25, 1963 funeral, by the driver, Secret Service Agent William Greer, who delivered these flags to Mrs. Evelyn Lincoln, the late Presidents secretary (later private secretary to his widow, Mrs. Jacqueline Kennedy) who preserved the flags. This Grouping also includes one of the last photograph taken of the Presidential limousine by Special Presidential Assistant David Powers, who snapped the picture from the trailing vehicle. It shows the President, the First Lady in the limousine as well as the two flags. Completing the Grouping are numerous period photographs of that fateful Texas trip.